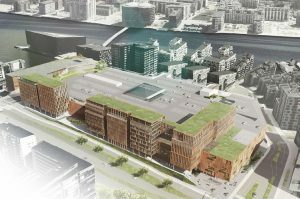 The Fisketorvet shopping centre in Copenhagen looks set to double in size according to plans drawn up by Schmidt Hammer Lassen Architects under the direction of French owner Unibail-Rodamco, which have this month been approved by Copenhagen Municipality following a public inquiry, reports Politiken. However, construction dates have not yet been finalised. 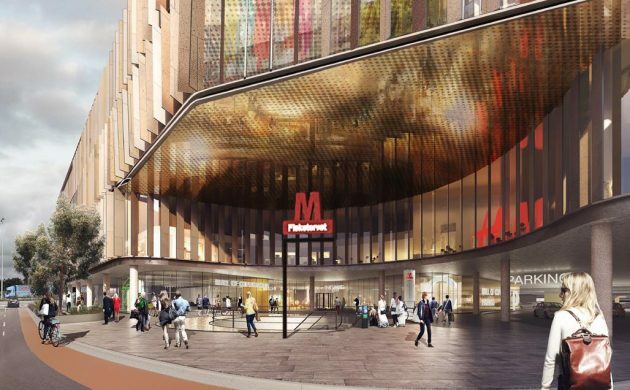 The plans include the introduction of more retail, office and hotel space via a complete overhaul of its third floor and the further development of the low-lying area between the centre and Dybbølsbro Station, as well as along Vasbygade. The expansion will add another 70,000 sqm to the 51,000 sqm site, of which 15,000 sqm will be dedicated to more shops, increasing the leasable retail area to 55,000 sqm, thus making it the sixth biggest in the country. A new Metro station, Havneholmen Station on the new Sydhavn line, is scheduled to open in 2024, and there are also long-term plans to add a bus station with up to 14 stops on the low-lying land in between the Metro station and Dybbølsbro Station, where construction work on a huge new IKEA store is also underway. Other plans include the construction of ten-storey building blocks 42 metres in height, play areas and parkland, a promenade completely encircling the shopping centre and residential areas, and the introduction of more windows! Since its opening in 2000, the outward appearance of Fisketorvet has attracted its fair share of criticism, so maybe this is the makeover that might finally silence the critics.